mudder noun mud·der | \ˈmədə(r)\ plural -s Definition of mudder 1 : a race horse that runs well on a wet or muddy track 2 : a player or a team (as in football) that performs well on a wet field After my final round of 2018, I was thinking about the course conditions the past month or so. While we have had relatively mild weather, it has been wet. I don’t do particularly well in wet and muddy conditions. I play in all sorts of weather: hot, windy, cold, rainy. Of all the conditions, a wet course presents the greatest challenge for me. I am not a mudder. For me, four factors create a mudder: distance, ball striking, patience and equipment Distance: Wet & soggy courses result in no roll out. Unless one hits the ball for good distance off the tee, the course becomes too long to consistently score. If on average one loses 20 yards a tee shot (and 2nd shots on par 5’s), a 6,700 yard course becomes effectively 7,000+ yards. A 6,300 yarder plays to 6,660 yards. 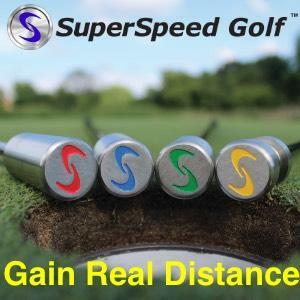 Further, that is figuring only 20 yards per shot are lost; often it is 30+ yards. Of course, moving up one or two tees is an option for casual play but tournament play typically offers no relief. Ball Striking: Wet turf leaves one little margin for error. The slightest fat shot will be a disaster. And the effects of a wet club face and ball compromise distance and spin. 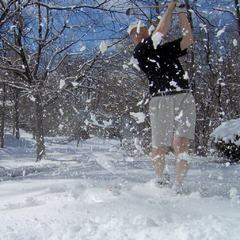 One study on the subject supports the idea [ http://blog.tourspecgolf.com/wet-versus-dry-golf/ ] Patience: Wet conditions often results in slower play. Cleaning clubs, fiddling with umbrellas, getting rulings for casual water all slow things down. If carts are being used, cart path only is a real time killer. Even the best players are going to find scoring difficult, so patience and a good attitude are crucial. As Bill Belichick recently said when the forecast was for cold and snow: “We aren’t playing against the weather.” Equipment: A quality rain suit, waterproof shoes, rain gloves and dry towels go a long way toward making soggy conditions more playable. When one is wet and cold or spending extra time trying to avoid being wet and cold, one game often suffers. When one is equipped properly, one’s attention can go toward playing golf and not merely surviving. I have the patience and equipment. My problems are distance and ball striking. On a good day I might carry a drive 200 yards. On a wet day, any hole 400 yards and over becomes a “par 5” for me. And even the shorter holes find me hitting hybrids and fairway woods for approaches. Hitting off wet turf is an issue too. My less than pure strikes result in an increased number of fat shots. Also, as the “TourSpecGolf” study shows, wet clubs and balls result in shorter carries. Of course, I have never been one to give up when conditions get tough. Sometimes patience can overcome the other factors. My wife and I used to play in a mixed two-person scramble at a local course. We typically ended up in the middle of the pack. One year, on our 2nd hole, the skies opened up, sending a lot of couples back to the clubhouse. My wife asked whether we should go in. “Hell no”, I said, “over half the field is going to quit. That just improved the odds of our winning.” As it turned out, I was correct. We played on and won. Maybe my wife is a mudder!